Sandeep is a conventional farmer who has Orange plantation in the Nagpur rural region. Two generations of his family have been in the growing of the famous Nagpur Oranges. 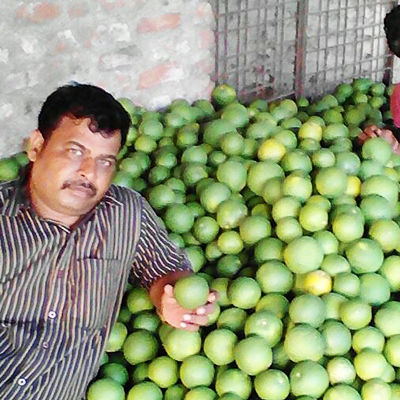 Sandeep is a resposible farmer and does minimal sprays on his oranges. The fruit is of good size an fetches him decent price at the market. Sandeep is looking at exploring possibilities of going organic and wants to understand the market for direct trade of oranges. If the process is fruitful, he intends to go organic and find better markets for his produce.